The Consortium’s ultimate goal is to expand the use of natural gas as a replacement/supplement for diesel fuel for the inland waterway system, a river system that encompasses nearly 12,000 miles of navigable waters. Natural gas offers marine operators a cleaner burning alternative with significant reductions in particulate matter and greenhouse gas emissions. This natural gas use expansion not only benefits the environment, it also spurs on economic development in the Appalachia region by increasing the use of gas produced in the Marcellus/Utica Basin. The PRCC team is capitalizing on the opportunity to launch a demonstration project funded via a DOT Maritime Administration (MARAD) Cooperative Agreement that provides $730,000 in matching funds using the low cost, readily available supply of natural gas to form a team to convert a towboat engine from diesel to dual fuel diesel/liquefied natural gas (LNG) operation. The project’s focus is to educate and encourage marine operators to be innovative and convert/retrofit their vessels, which in turn allows them to meet the new EPA emission requirements while also reducing environmental impact to our inland waterways. There is already a global movement toward conversion of ferries and similar vessels to compressed natural gas (CNG) and liquefied natural gas (LNG), particularly for vessels operating in environmentally sensitive areas. 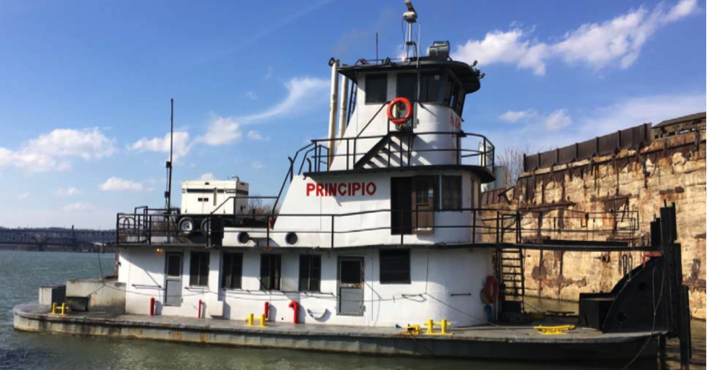 We believe the PRCC initiative in the Appalachia region is the first inland waterway effort in the United States. It makes sense to begin here in the Appalachia region, in our Nation’s second largest inland waterway, located in the middle of the Marcellus and Utica natural gas development area that produces 36% of our Nation’s natural gas per the most recent Department of Energy, Energy Information Agency statistics. The demonstration project could not have come at a better time. Over a twelve month period ending in 2015, the Port of Pittsburgh completed a study on the feasibility of a regional natural gas marine highway. One of the study results revealed there are more than 500 inland towing vessels operating in the region; these include both regional and non-regional towboat operators. There are 261 regional towboats operating in the Pittsburgh area, and almost 65% (169) are in the harbor vessels category with less than 1,200 hp. cost-effective method of converting the smaller harbor towboats to natural gas.There are design challenges associated with converting the smaller harbor towboats that abound in the Appalachia Region. This demonstration will help innovate and develop scaled technology solutions for smaller vessel operations to benefit our regional operators, all within regulatory requirements. It will also help to answer key operational questions essential for natural gas conversion, especially for small-scale development. The vessel to be converted is the M/V PRINCIPIO. It is a twin screw 65’ x 24’ towboat built in 1940 by Sturgeon Bay Shipbuilding & Dry Dock Co. It is owned and operated by Gulf Materials LLC. 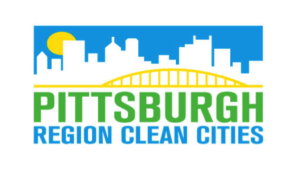 and is located in Braddock, PA and operates predominantly on the Monongahela and Ohio Rivers in Allegheny County. It currently is powered by two engines: a Caterpillar D343 and a Cummins KTM-1150-M, each rated at 400 horsepower. PRCC has selected and is working with a natural gas system provider. The PRCC team has chosen a “fumigation” type system, one separately for each main propulsion engine, on the M/V PRINCIPIO. This system shall allow the engine/s to burn diesel and/or natural gas (LNG) efficiently and automatically. Fumigation is defined as the supply of natural gas in the form of LNG converted to gas and delivered as gas to the engines combustion air inlet system. The PRCC team has developed Basis for Design and Risk Analysis documents for the proposed natural gas modification including the LNG bunkering, storage, fumigation system, and automated control system. The documents are currently under review and negotiation with the U.S. Coast Guard to enable the final design to be completed. The PRCC team is currently working with vendors for fire suppression , ventilation, gas detection and other safety systems. Conversion is anticipated to commence in the Fall of 2017 after the USCG has approved the final drawings and design details. The vessel will be operated for a one-year period to demonstrate the use of natural gas and to record exhaust emission measurements and performance. Results from this demonstration project will help expand the development and availability of natural gas conversion technology for smaller scale tug, tow, and harbor vessels. LNG will be the chosen method of on board fuel storage. The approach allows the team to monitor, evaluate, and compare the performance of the diesel and LNG powered engines on the same vessel. All necessary fueling infrastructures will be in place, and applicable regulations followed. Throughout the project, conversion performance and evaluation points will be publicized, periodic comparisons released, and educational outreach to vessel operators and other key stakeholders will take place. Finally, at the end of the demonstration, the team will publish a detailed report that will assist marine operators with making decisions necessary to meet the EPA emissions mandates as well as economic decisions as to conversion of other existing towboats. The entire demonstration project from acquisition of permits, to physical retrofit and vessel operation, will be conducted over a minimum of approximately 24 months. In addition to meeting EPA emissions standards and providing a cost-effective fuel alternative to marine operators, we anticipate the demonstration project will create economic development opportunities in the region. The siting of LNG production and refueling infrastructure along the riverfronts opens new markets for the growing supply of shale gas. Along with job creation, potential economic benefits include such things as: conversions of adjacent diesel-powered dray equipment (cranes, conveyors, etc.) and over the road vehicles; expansion of rail lines that serve the docks and multimodal systems; power generation along the waterways including dual fuel at existing coal-fired plants and utilization of LNG for peak shaving periods; LNG reinjection and re-vaporization into rural distribution systems by utilities for heat/power at 100% pure methane versus 95% methane on most pipeline quality gas; conversions of natural gas to clean diesel (Gas To Liquids – GTL) that does not require retrofit of existing engines and new refueling infrastructure; cracker plants that make ethylene pellets from ethane in wet gas production for numerous chemicals, plastics (PVC), and downstream applications that are half the cost and much cleaner than conventional refineries processing crude oil as the feedstock; and converting drilling rigs, earth moving equipment, mobile water treatment, and “yellow iron” equipment can all take place. local, state, and federal regulatory and U.S. Coast Guard requirements and significant investment on the part of all of the participants; but the return on investment could be swift, especially with a 50% or more projected fuel cost savings for vessel operators. Our company is pleased to present you a new project. Now we offer our clients special offers for playing in online casinos. The safe online casino are only with us. PRCC is looking for companies interested in providing a “fumigation” type system, one separately for both main propulsion engines, on the M/V Ron-Chris. This system shall allow the engine/s to burn diesel and/or natural gas (LNG) efficiently and automatically. Fumigation is defined as the supply of natural gas in the form of LNG converted to gas and delivered as gas to the engines combustion air inlet system. In the interest of sole source coordination, PRCC would like companies responding to provide a “turn-key” system but will accept responses for major portions of the system from LNG tanks to the final fumigation system mounted on or near the engines. Click here for additional info on a gas fuel system schematic. Q: Is the M/V Ron-Chris subject to US Coast Guard inspection and ABS (or other classing agency) regulations? Q: USCG CG-512 (CG-521) Policy Letter defers to IMO MSC.285(86) with regard to vessel design utilizing LNG. Are these design requirements relevant for this conversion? A: This program is subject to many of the requirements of both the USCG and IMO regulations. Given that this is a first-of-the-kind installation for a US inland river boat; there are also areas where waivers are being requested due to the type of installation. Q: The fuel gas control system will require integration with the engine control system; should these cost be included in the proposal? If so, is a detailed engine control system document available? A: The cost of integrating the gas control system with the engine control system must be included as part of the system cost. There is not a detailed engine control system document available. Engine power/speed requirements and resulting gas/diesel mix should be controlled by the requirements of the engine governor/control system as it does for a pure diesel mix it operates under currently. Q: The future gas detection system will require integration with the fuel gas system. Is there a spec available for the gas detection system detailing the method of interaction? A: The gas detection system will be spec’d after the fumigation is selected. Q: Is the ventilation system for the double wall gas piping to be provided as part of this RFP or is it included in the owner supplied equipment? Q: Over-the-road LNG systems typically utilize engine coolant in the vaporizer. Is there an operational consideration that would prevent engine coolant utilization aboard the M/V Ron-Chris? A: Do to the closed design of the engine coolant system, it is not available for integration into the LNG vaporizer. Q: NFPA-37 is relevant to the fuel gas piping but not listed in the RFP. Is the intent to comply with all NFPA requirements? A: All relevant NFPA requirements are applicable. Q: We may be interested in supplying part or all of the equipment possibly with other partners for this project. (I.e. Engineering Firms or Shipbuilding companies). Is it possible to submit a Bid Response for our desired portion of the work? How would we coordinate with other firm(s)/companies on our submission? A: The PRCC MARAD Bid Package allows for both entire “Turn Key” and submissions specifying selected section responses. This question expressing an interest for collaborative submission will be posted on the PRCC Website so that parties may alert PRCC and facilitate that connection around the project requirements in the SOW. Q: Our company manufactures a patented hydrogen infusion device that has recently passed California’s CARB testing. The I-Phi equipment, installed on diesel engines, improves fuel efficiency while dramatically reducing carbon emissions. Our equipment can be installed on any large diesel engine, such as trucks, buses, marine, heavy equipment, generators, etc., using commercial or biodiesel fuel. In addition, the equipment provides more torque and reduces maintenance costs. We’d like to discuss our technology with you in more detail, with an eye towards conducting a trial of that equipment on selected engines within your program, for your group’s evaluation and approval. Please review the attached document, and contact me at your earliest convenience to discuss our device and the proposed trial. A: Thank you for signaling the Project Team of your recent success in achieving CARB Certification via your innovative Hydrogen Infusion System development. As you surmised from review of the Bid Package received the narrow focus for our MARAD PRCC sponsored Research Demonstration is natural gas fumigation. We welcome your input and response to the RFQ and look forward to follow up regarding the information that you’ve shared once we have gotten through the necessary steps of the stated process. Q: We represent nine (9) companies, with a couple having a fair amount of business in the LNG market, i.e. LNG Re-Liquefaction & TMC screw air compressors within Canada and USA. I would ask if you could advise which Naval Architect company is working on the design aspect for this conversion. A: There are multiple Naval Architecture & Marine Engineering companies supporting this MARAD project. At this point in the project, we are interested in only responses that support the program as stated in the RFQ. If you have a specific question regarding perspective equipment you would want to quote on, please submit a specific question. Q: May I ask: what is the geographical location of the vessel? A: The geographical location or the place of performance is stated in the SOW as on the Ohio River in and around Tiltonsville, OH. Q: Page 7, 4): It states “… per the supplied drawings …” No drawings were supplied. 002. Do you have a local installer in mind? A: The current project planning includes the owner to provide most of the installation support on the project. Once the system is selected the final details of the installation will be determined, however, it is anticipated that the system provider will provide any installation details and onsite support as required. If a bidder so chooses, they can provide an installation cost as a separately quoted item. Q: Is Walden Industries the designated installer? A: Walden Industries is the owner and anticipates will perform the installation. They will also approve and oversee the installation of the natural gas conversion equipment. Q: Can we contact them before bidding for scope clarification? contact them via email or if necessary by telephone for clarification. All answers to questions submitted will be posted on the PRCC website. Q: Announcement of the bid invitation and your e-mail encourage “turn-key” system. Would you still require six months period of performance? A: Yes: Please quote your best delivery if six months is a problem. Q: Can equipment manufacturer be a foreign firm? Can foreign firm bid? A: Yes, but identify origin of any foreign supply. Q: The general design specifications, citing 5 agency rules (not all of which apply to the engine system). Only the CFR is available on line for free. Can your group make available the current sections that apply to this marine project or are we required to purchase them? A: We can’t make available any applicable reference materials. It is up to each potential bidder to have what they consider applicable reference materials. If after review of any applicable reference materials, there are any obvious conflicts, the individual conflicts will be addressed. Q: ECI has a full set of SAE specifications but they are from 1990, a little out of date, doesn’t have a j2343. Same as NFPA, we have older versions of 52, what’s changed? A: See the answer to question number 1. Q: The SOW section ITEM 002 3) indicates piping shall be installed by the contractor. Is it Walden Industries that will be installing the systems? Our price then is for the system and technical support only? A: The intent is to have the supplier of the gas system responsible for the installation of the equipment they are supplying. This can be directly by the supplier or through a 3rd party installer. Any modifications to the boat to accept the new system will be done by Walden or their assigned vendor. Q: As this project has an interest in emission reduction, are catalytic converters for the exhausts expected or desired as part of the engine system? A: They are not expected or desired for this part of the program. Q: Are compressed air for controls available on the vessel? Is not uncommon for this to be the case. Air controlled shutoff valves would be a good option if air is available. A: This vessel does not have air control system but the boat does have an air supply system. Q: Leak detection for the vessel is not a part of the engine system? A: Leak detection is a separate item that will be bid out later. Q: What is the expectation regarding controls and indicators for the engine room and pilot house. A: It is expected that there will be one control station with indicators for the engine room and one for the pilot house. Q: NFPA 52 chapter 14 for marine indicates the engine crankcase should be equipped with explosion relief valve. I don’t think that engine has a location where one would possibly fit. What is the expectation regarding full rule compliance? We read the section regarding “alternative design standards will be evaluated” not sure how much weight will be put on some of these details. Your comments will be appreciated. A: Where the size of the vessel and the engine precludes meeting applicable rules and regulations, alternative methods of meeting the intent of the rules and regulations will be considered and applied where possible.